In this little corner: Happy National Chocolate Ice Cream Day!!! Happy National Chocolate Ice Cream Day, Everyone!!! Need an excuse to eat Chocolate Ice Cream? Well, you got it!!! 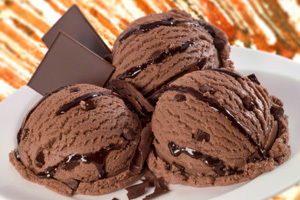 Today is National Chocolate Ice Cream Day!!! So, grab some chocolate ice cream and top it with chocolate chips, hot fudge, sprinkles, almonds, or anything else that you’d like. I know I will!